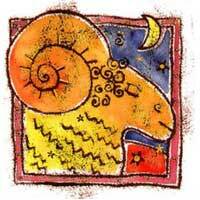 Alongside Aries, you will feel that areas related to money, possessions, and what is precious are emphasized. Mars, governor of Aries, opposite Neptune creates either ample imagination and idealism, or delusion and deception. When Aries is involved in a plot, there is a high probability to be involved with a Pisces native. Relationship may be financially advantageous, or may fall at the opposite, and be disastrous. No neutral ground, since Aries is a fire sign and Pisces is a water sign. Pisces are warned that if they get involved in a relationship with an Aries, they should be prepared for an active individual, enthusiastic, and who will encourage you to develop your talents. There is a tendency to deception in this relationship, it is not clear, but both of you tend to see things differently from what they really are, and you will be surrounded by utopias. 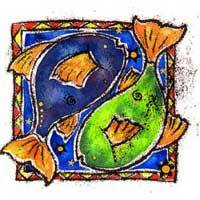 It is recommended that Pisces have a mature attitude to be able to enjoy the adventures that they engage in together. Aries seems to have a magnetic nature, mysterious and secretive and therefore wants to impress you and get "out of the shell"; there is a good chance he might succeed, but this proposal seems too bold. While you are neighboring signs of the zodiac, there are many differences between you, and neither one of you is ready for a radical change.